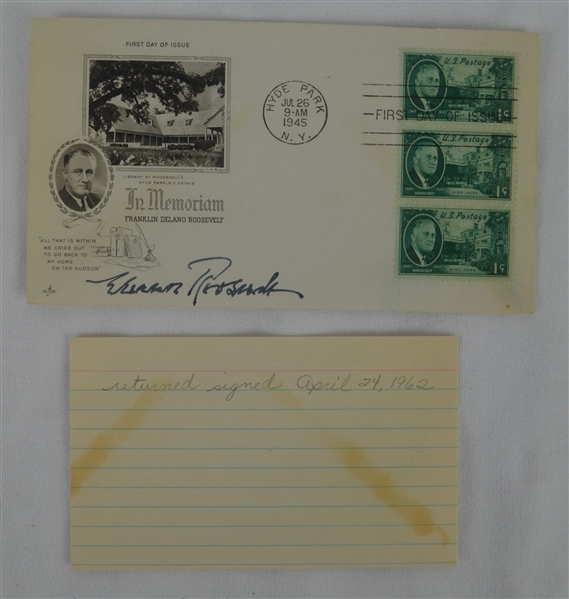 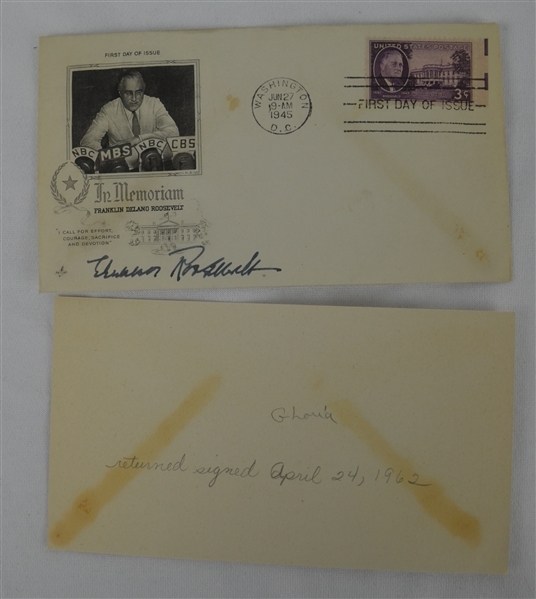 This lot features 2 First Day Covers dated June 27th and July 26th, 1945 each of which has been signed by Eleanor Roosevelt in black pen. 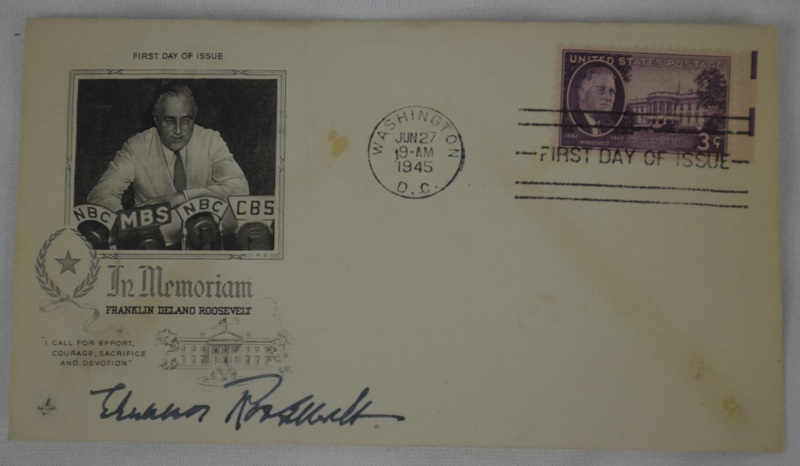 Roosevelt was an American politician, diplomat and activist. She was the longest-serving First Lady of the United States, having held the post from March 1933 to April 1945 during her husband President Franklin D. Roosevelt's four terms in office, and served as United States Delegate to the United Nations General Assembly from 1945 to 1952. President Harry S. Truman later called her the "First Lady of the World" in tribute to her human rights achievements. 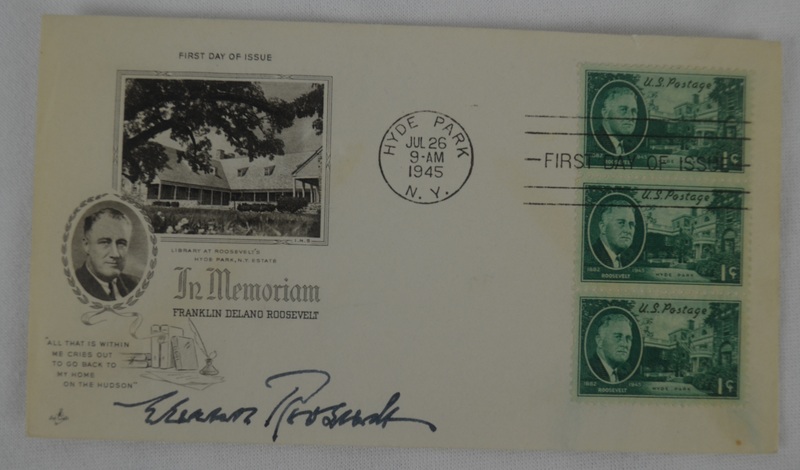 Roosevelt passed away back in 1962 at the age of 78 making her signature highly coveted and extremely difficult to obtain.